TypeScript linter (using TSLint) for Visual Studio 2015. 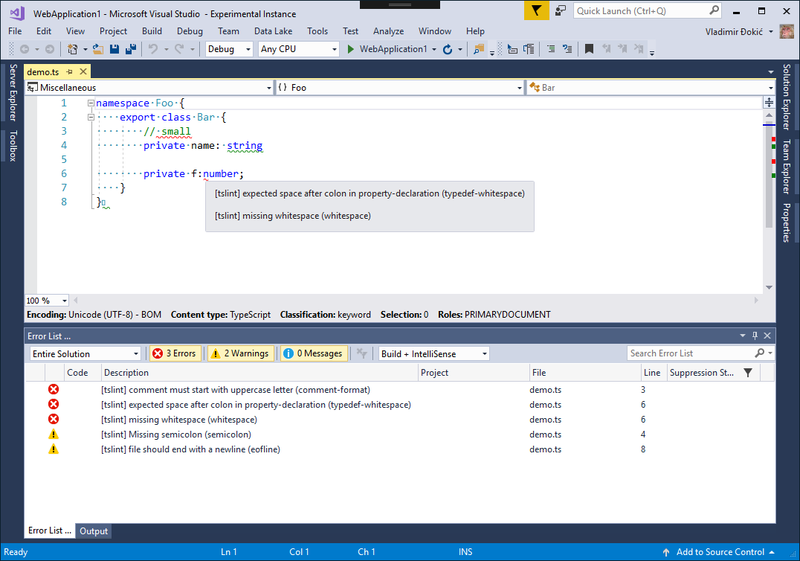 Visual Studio 2015 extension for linting Typescript files using tslint. When .ts is opened or saved, locally installed tslint is run in the background and code in the editor is underlined (marked) based on the tslint findings. Hovering over the underline gives additional info in the form of a tooltip and warnings and errors are listed in the Error List. More information about tslint used by this extension.